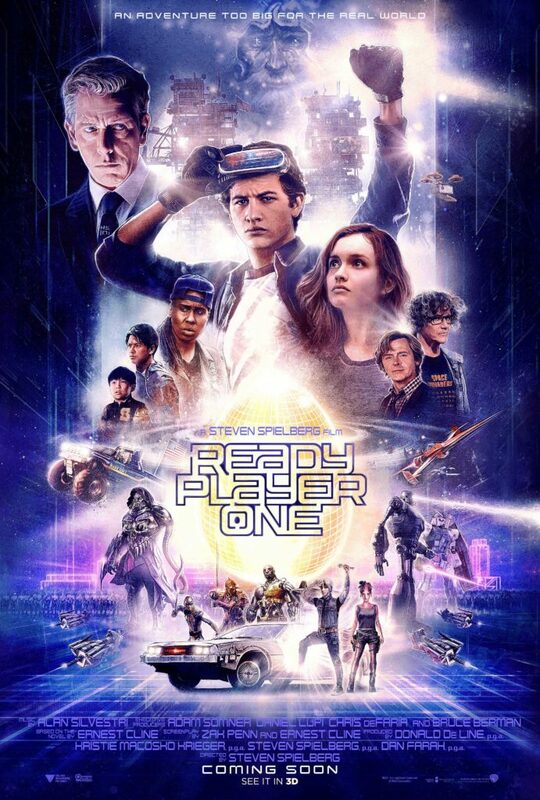 In episode 41 of The Electric Shadows Podcast Robs Daniel & Wallis journey deep into pop culture and sci-fi when delivering their verdicts on Steven Spielberg’s Ready Player One and Alex Garland’s Annihilation. In a typically all-encompassing discussion, Rob D explains why he dug the pop-culture geek-gasm of RP1, while Rob W reveals his reservations about Spielberg’s latest. Conversely, Rob W talks about why Garland’s Annihilation is a masterpiece, and Rob D is the one with the criticisms. Basically, the entire tapestry of the 21st century human experience is here. What’s the story: 2045, Colombus, Ohio. In an over-populated world where trailer parks have become cities, the masses seek enjoyment in the virtual reality world of the OASIS (Ontologically Anthropocentric Sensory Immersive Simulation). Expert gamer Wade Watts (Sheridan) and others attempt to win a competition that awards them vast wealth and control of the OASIS. Evil corporate CEO Sorrento (Mendelsohn) unleashes an army to ensure no mere gamer wins the ultimate prize. What’s the story: Former special forces soldier Toshiro (Tak ∴) works in a small convenience store in rural Japan, caring for the orphaned Sachi (Kondo). But, dangerous enemies from his past, led by the mysterious Phantom (Ôtsuka), force him to settle old scores. What’s the verdict: With action films arriving faster and thicker than kicks from The Raid’s Iko Uwais in a particularly foul mood, they had better come strapped with a good USP. The Electric Shadows Podcast reaches its 40th episode. What better way to mark this landmark episode than by discussing the biggest night in the movie calendar: the Academy Awards, better known as the Oscars. Best known as the awards where they announced the wrong movie last year for the biggest win of the night. We know what you’re thinking, “Aren’t the Oscars just fish-wrapping by the Wednesday after the Sunday they happen?” Highly probable, but fear not. In a discursive, some might almost say wildly undisciplined chat, the two Rob’s hold forth on a range of subjects spinning off from the award winners. Including 1994’s The Shadow, the tyranny of pan and scan video in the dark days before DVD, and an imagined disaster in which Warren Beatty uses Faye Dunaway as a human shield. The ecstasy comes Rob Wallis, who, being sound of body was able to see Black Panther – aka Contender for the Biggest Film of 2018, aka Contender for the Most Culturally Significant Film of 2018, aka The Film You Really Should Have Seen By Now. So Rob W lets Rob D know about all the good stuff he has been missing. Rob D bravely listens without sounding too despondent.